A portion of the Lakewood bank of the Rocky River is soft, unstable, and eroding quickly. 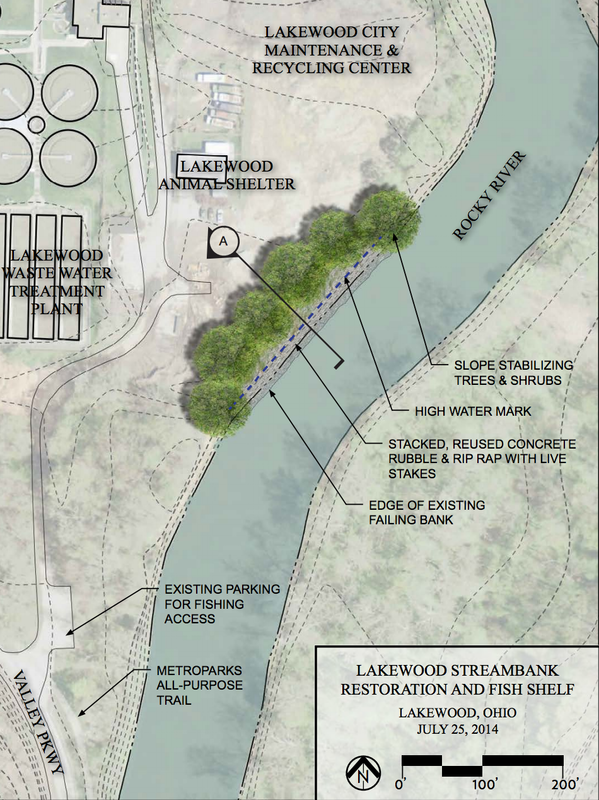 However, the city has plans to stabilize and restore about 300 feet of the riverfront as part of its Lakewood Streambank Restoration and Fish Shelf project. 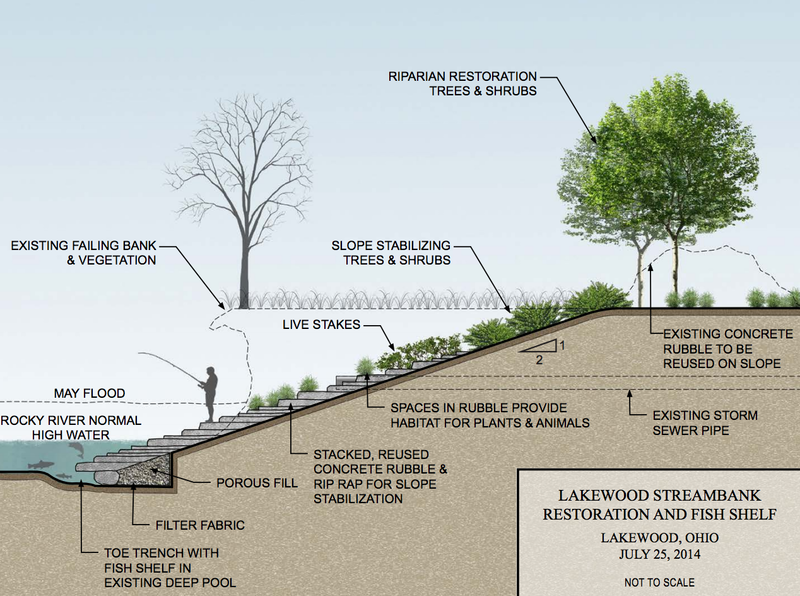 The city of Lakewood received a nearly $123,000 grant from the Ohio EPA to help pay for streambank stabilization and a fish shelf — made of repurposed concrete construction materials — earmarked to stabilize and restore that area of riverfront. The new fish shelf, near the city’s stockpile yard near the Animal Shelter off Metro Parks Drive, will also provide a place for sport fishing. The total project cost is estimated to be $204,736 of which the Ohio EPA would fund $122,842. Design work is underway, and city officials expect plans to be ready by February 2016. The city will host a public meeting when the plans are nearly complete for public comment. The project would be bid in spring of 2016 with construction starting afterward; city officials estimated the project could be completed by October 2016.